Can’t Remember Encrypted iPhone Backup Password? Fix It Here! What do you do when you can't remember encrypted iPhone backup password? Life is hectic enough. We don't have much time on such frustrating issues. So, we'll talk about the solution when you cannot remember the password. Verified Solutions for "Can't Remember Encrypted iPhone Backup Password"
Bonus Tip: How to Avoid This Happens Again? If you've tried all the possible password but still cannot get it done, then it's highly recommended that you use an iPhone backup unlocker. It's the easiest way to find your lost password. 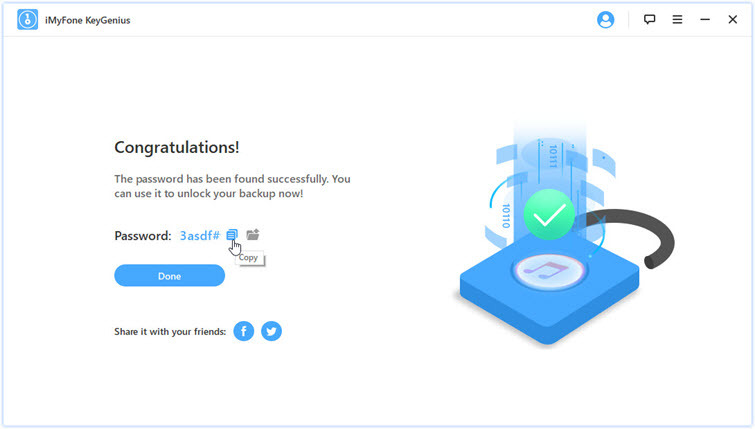 iMyFone KeyGenius is one of the most popular iPhone backup unlocker. It is designed to find your forgotten or lost iTunes Backup password, allowing you to restore the backup normally. 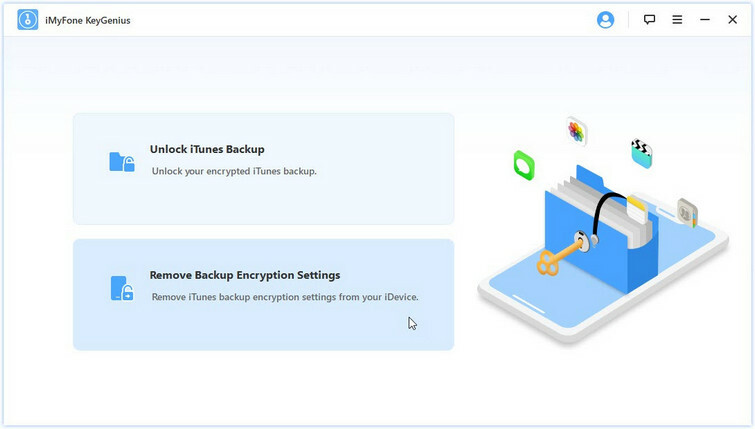 It can also remove iPhone backup encryption settings which enables you to make a backup without password. Can't remember encrypted iPhone backup password? KeyGenius will find the password in 3 flexible ways. 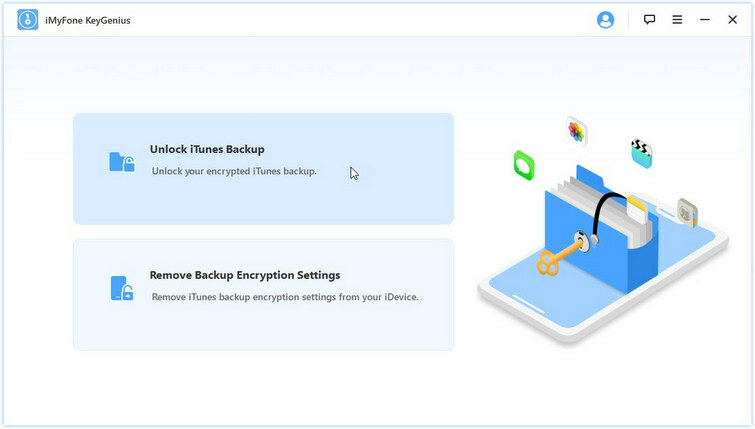 Disable "Encrypt iPhone backup" option of iTunes without password within seconds. Differing from other iPhone backup unlockers, KeyGenius won't do any damage to your data. 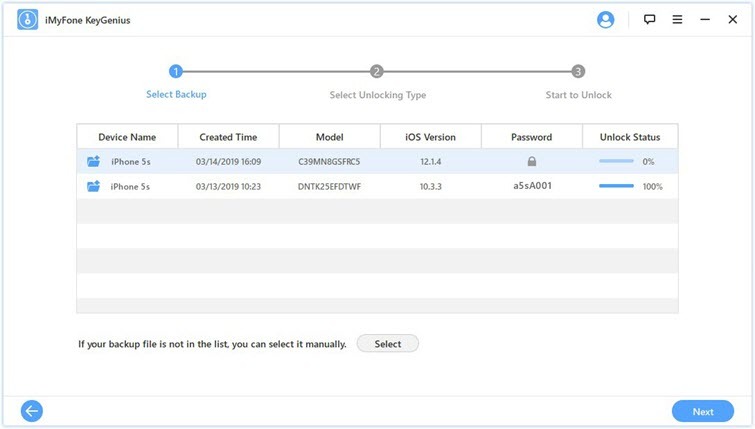 Unlock any versions of iTunes backup and compatible with all iOS versions. What to Do When You Want to Restore an Encrypted Backup? KeyGenius can decode the password for iTunes in all situations, like if you forget your password, iTunes for some reason does not accept your original password, iTunes asks for a password that was never set or you are having difficulty setting a new iTunes password. In any case KeyGenius is a helpful new tool to make your life easier still. Download and Install KeyGenius on your computer. Access the program and begin the process. Step 1. Select the mode from the home screen menu. In this case, select Unlock iTunes Backup. Step 2. 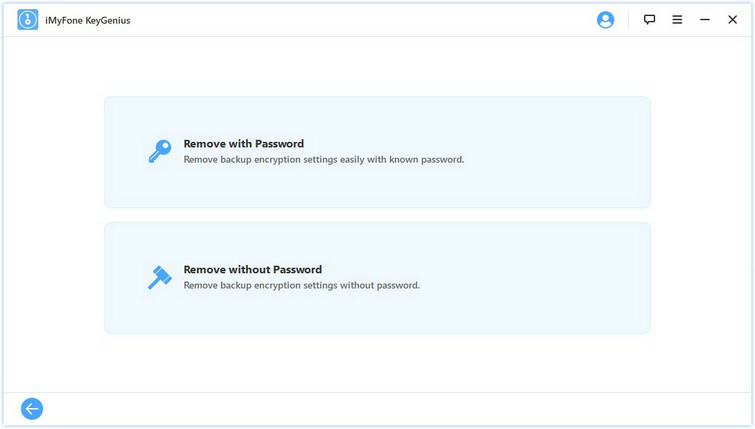 Select the backup for KeyGenius to decode the password. 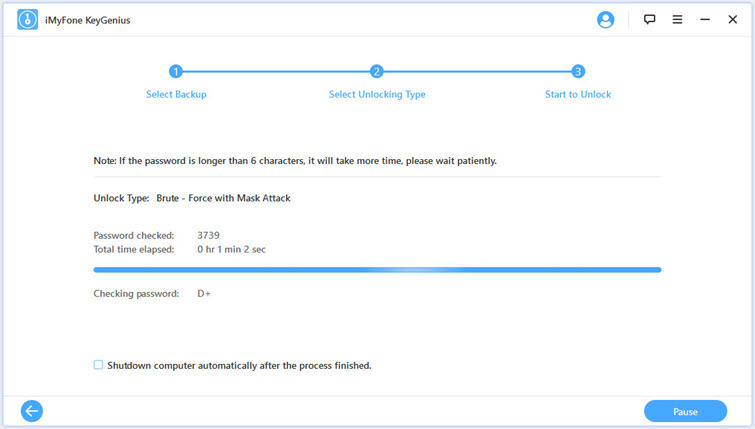 Unlock Status shows the completed percentage of each backup. You can work with any unfinished backup. If a backup is not showing, you can select it manually. Step 3. Next select the unlock method to use. You have three choices. Dictionary Attack is used when you don't know the password at all. This dictionary contains the most common passwords as well as a range of numbers and letter to help determine the actual password. 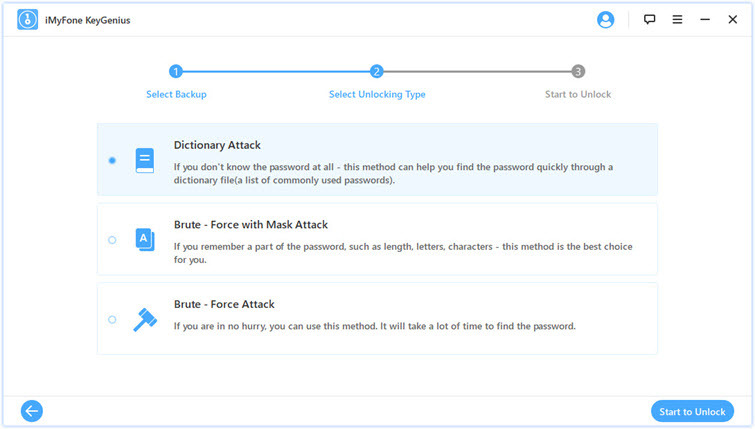 Brute Force with Mask Attack is used when you remember part of your password, like numbers, letters, lower case, upper case, etc. The more information that you provide, the easier it will be for KeyGenius to recover your password. Brute Force Attack is used when you can't remember anything about the password at all. Consequently this method takes the longest. Step 4. Once you have selected the unlock method, proceed and select Start to Unlock. After a time your password is displayed. You can either copy the password or open the text file containing the password and use it from there. KeyGenius is an exciting new tool for iPhone users and we know you will love it. Unlock your password with ease, no more checking to see if you put the password in a file somewhere or asking your spouse if they remember what it is. Now you can unlock and get your password simply and quickly. What to Do When You Want to Make an Unencrypted Backup? Please note that if you have set encryption on your device, your back up will be encrypted by default. KeyGenius can help you unlock this and remove Encryption settings from your phone. This is very useful when you make an iTunes backup but can't remember the encrypted iPhone password. Step 1. Access the Home Menu again and select Remove Backup Encryption Settings from your iPhone. Then connect your iPhone to computer with a USB cable. Step 2. Select the removing method. You have two choices, with Password or without Password. Remove with Password: enter the password and select Remove. Remove without Password: select Start to begin. 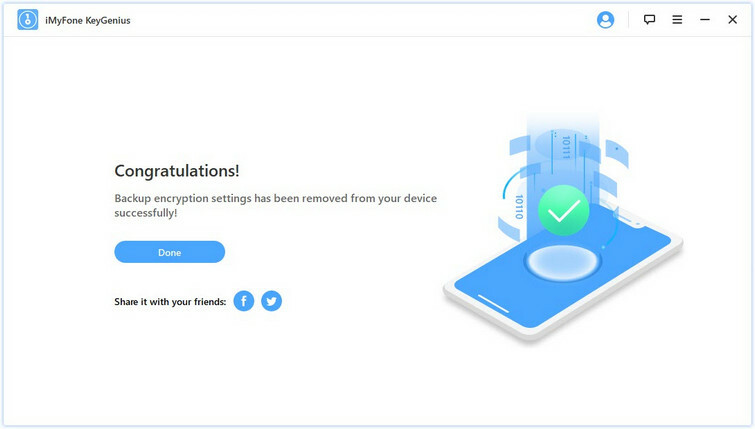 In moments your encryption settings are removed and a Congratulatory message is displayed. Bonus Tip: How to Avoid "Can't Remember Encrypted iPhone Backup Password"? What is the best way to avoid forgetting your password in the first place? Well there are a few options you can use. It may seem old fashioned, but sometimes a paper and pen are your best friends. You can put all your passwords in a book or on a pad and lock them away in your desk. This is better than having just one password for every site and better than making all of your passwords the same, but it's still not ideal. The other option is to use a third-party password management program. There are lots of password management software available at the market, it's a better choice to use one of them for password management. One point you should note is that they're not free.